What are RenWomen, and Why Do We Need Them Now More Than Ever? 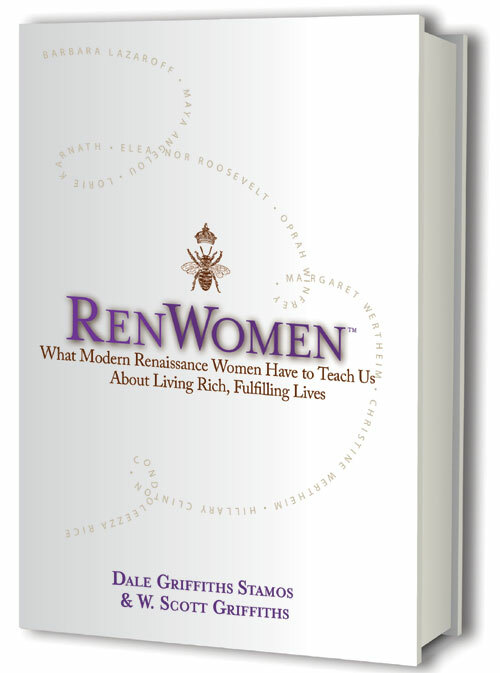 I am Dale Griffiths Stamos, the co-author (along with my twin brother, W. Scott Griffiths) of the newly published book: RenWomen: What Modern Renaissance Women Have to Teach Us About Living Rich, Fulfilling Lives. Through interviews with, and writing about, extraordinary modern Renaissance Women (to whom we have given the label « RenWomen, ») I have learned how essential it is that we encourage and create more of these women, for the sake of society and the world. The world we live in has radically changed. In the 21st century, information is the reigning currency, as we are bombarded from all directions with media, messages, and endless choices. It’s hard to believe that the main reason for this, the World Wide Web, was born a mere 25 years ago. In 1989, software consultant Tim Berner-Lee originally hatched the idea of an open computer network, and on Christmas day, 1990, with help from computer scientist Robert Cailliau and others, he set up the first successful communication between a Web browser and a server via the internet. Today, it is an integral part of almost everyone’s life and with so much so quickly at our fingertips, it feels sometimes like we’re moving at the speed of light. On top of that, the old paradigm of learning one skill well, and having only one or two jobs in a single area of expertise for one’s entire work life, is breaking down. Our rapidly evolving times and the volatility of the job market make it far more likely that an individual will hold numerous jobs in a lifetime. A Forbes.com article states, “Ninety-one percent of Millennials (born between 1977-1997) expect to stay in a job for less than three years, according to the Future Workplace ‘Multiple Generations @ Work’ survey of 1,189 employees and 150 managers. That means they would have 15 – 20 jobs over the course of their working lives! » And chances are good those jobs will span more than one occupation and demand different sets of skills. So a person who can flexibly move from one skillset to another, from one discipline to another; who has a broader rather than narrower base of abilities may be better adapted to our modern times. In this world in flux, it seems the old adage « adapt or perish » couldn’t be more true. Renaissance individuals not only have a raging curiosity and a hunger to master many things, but they embrace risk, growth, and transformation. And with the internet, they no longer need to spend hours in a library poring through books to learn new things. Knowledge is at the click of a mouse. The bottom line is: we need Renaissance people now more than ever. Women are particularly suited to the Renaissance life. They already wear many hats as mothers, career women, household managers and caretakers. And as more opportunities have opened up for women in the past 50 years, through the women’s movement, the advent of the pill, and shifting societal attitudes, women have proven they can excel in every field of endeavor, even in those once considered strictly male domains. An increased lifespan and more years of productivity add even more opportunities for a modern Renaissance woman to expand. Here are some striking examples: Maya Angelou was still writing and speaking until her death at age 86. Tao Porchon-Lynch, a professional yogi, who has also been an actress, dancer and model, set a Guinness World Record at 93 as the world’s oldest yoga instructor. She is now 97 and still going strong. Gloria Steinem, journalist, women’s rights activist, author and co-founder of Ms. Magazine, is 81 and has no intention of retiring. Jane Fonda, renowned actress and fitness guru, is 76 and embracing a revitalized acting career. The old maxim, “age is just a number,” is becoming more and more true, especially for RenWomen! There are other reasons we are seeing the emergence of more Renaissance women. The role of professional women, particularly in western societies, is growing. Currently, greater numbers of women (60 percent) than men graduate from our universities. And although we still have a way to go, women are gaining more positions of power and leadership in business, politics, and the arts. Studies have shown there are clear advantages that accompany the increased presence of women leaders, managers and executives. A Pepperdine University study conducted over several years reported high profits in Fortune 500 companies with a strong record of promoting women to the executive suite. 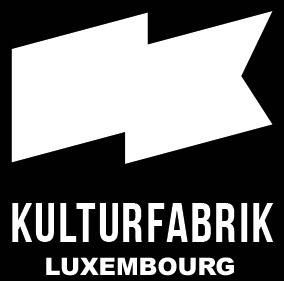 The study stated that: “The 25 best firms for women outperformed the industry medians, with overall profits 34 percent higher when calculated for revenue, 18 percent higher in terms of assets and 69 percent higher in regard to equity.” According to a 2007 study by the consulting firm McKinsey and Company, European firms with the highest proportion of women in power saw their stock value climb by 64 percent over two years, compared with an average of 47 percent. An article in economist.com reports, “eliminating the remaining gap between male and female employment rates could boost GDP in America by a total of 9%, in the euro zone by 13% and in Japan by as much as 16.” Credit Suisse Research Institute reported that greater gender diversity in a company’s management coincides with better financial performance and stock market valuations. MIT found that teams that are the most effective and collaborative have a greater proportion of women. The time is ripe for women to take the lead in a new Renaissance, one that balances feminine values with the prevalent masculine ones, and that allows women to live up to their full potential. The modern Renaissance women we feature in our book— some of whom you have heard of, but others who will, no doubt, be welcome discoveries—are an embodiment of that promise and that potential. Their stories will also serve to inspire those women who want to live a Renaissance life, but don’t know how. Modern Renaissance Women (« RenWomen ») like Renaissance Men, are driven by a sort of inner compass to push ever outward, to swallow life whole, to challenge themselves to gain mastery in many things because all of those things interest them. These are the women who tackle two degrees at once, who read voraciously and in many subjects, who gain proficiency in a musical instrument or a foreign language, who start their own business, then branch out into speaking and writing. All often while raising a family and/or caretaking elderly parents. This is not because they feel compelled to prove themselves in a man’s world, on the contrary, it is their need to be all that they are, to not feel bound by the limits imposed by their education or by society, that motivate them. During the process of exploring the subject of our book, we spoke not only to the women we profiled, but to other highly successful women—often Renaissance-style women in their own right. We also spoke to a special man, a filmmaker who is a huge advocate of women’s role in transforming the world. How does a RenWoman differ from a Renaissance man? First of all, there are many ways in which the two are alike. As one would describe a Renaissance man as someone who has expertise in a number of areas, so would this apply to a Renaissance woman. And they also share such common traits as passion, drive, willingness to take risks, curiosity, creativity and challenging the status quo. But there are often differences in the way women manifest these traits, and there are additional skills that RenWomen bring to the table. A RenWoman is also someone who moves smoothly between multiple fields, drawing ideas from one to spark discoveries in another. Working in this multi-disciplinary way, she gains insights and finds creative solutions that are not limited to one specialty, but rely on her expansive knowledge base. This is one of the reasons she is a creative out-of-the-box thinker, making unique and unexpected pairings and connections, challenging the standard thinking around her, and thus urging society forward. RenWomen, like all women, do not live their work lives in a vacuum but usually have multiple responsibilities outside of work, including children to raise or elderly parents to care for. This aspect of their lives, while often creating difficult choices, adds a vital dimension, coloring their priorities and concerns. In the end, a RenWoman is a woman first. And those societal and family pressures that exist for all women also exist for them. But, as the RenWomen in our book show, when there is commitment, drive, and creativity, it is truly amazing what a woman can accomplish! And in these uncertain times, it is also important to be able to manage the stresses of a shifting landscape. Interestingly, when it comes to stress, new research shows that men and women do not respond in the same way. Most people are well aware of the adrenaline-triggered “fight or flight” response to extreme stress. But according to UCLA social psychologist Shelley Taylor, who wrote an influential article (and later a book) on how women respond to stress, women do not go into fight or flight mode, instead they respond with a “tend or befriend” reaction. This leads a woman to try and talk her way out of a stressful situation, or try to understand her opponent, thus potentially diffusing the threat. Taylor argues there are biological and evolutionary reasons for this difference, related to the care of offspring, and the seeking of social support. According to Dario Maestripieri PhD, in his article for Psychology Today, “Gender Differences in Responses to Stress: It Boils Down to a Single Gene” there may even be a genetic marker that mediates the response. Linked also to this theory are recent studies on how men and women make decisions when under stress. According to a research article published in the journal PLoS One, the higher the stress, the more risk-taking men become, whereas under intense stress, women become more risk averse. It is important to note that neither response is necessarily superior to the other. Under certain circumstances, more risk taking can lead to greater rewards, but under other circumstances, it can lead to a potentially dangerous lack of caution. I noted earlier how much better companies do when they have both men and women in executive positions. These studies about stress responses are just further confirmation of how important it is to have a balance of men and women in key decision-making positions. We are also living in a time of enormous conflict and turmoil throughout the world. Many have begun to question the patriarchal values that have brought us to this point, and to wonder whether feminine values could offer us new and better options. 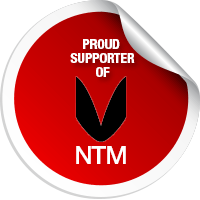 As John Gerzema and Michael D’Antonio say in the introduction to their book The Athena Doctrine (in reference to their previous book, Spend Thrift), “Most of the traits exhibited by the successful entrepreneurs, leaders, organizers and creators we profiled seem to come from aspects of human nature that are widely regarded as feminine.” This is what motivated the research that led to The Athena Doctrine which, as previously mentioned, argues for the global need for the implementation of more female values. There is an interesting, rather amusing story that illustrates these female values in action. When the U.S. government shut down for 16 days in 2014, while the men were saber-rattling and blaming their colleagues across the aisle, two women senators, Democrat Jeanne Shaheen and Republican Kelly Ayotte, decided to host a little pizza party for women senators from both parties to try to figure out how to resolve the situation. It was through their leadership that a compromise was finally arrived at. Senator John McCain acknowledged, “It was the women’s leadership that brought critical mass of Republicans and Democrats together.” Senator Mark Pryor stated, “Women in the Senate is a good thing. You see leadership. We’re just glad they allowed us to tag along to see how it’s done.” Although this was a somewhat humorous statement, there was clear admiration in it for how the women had succeeded in doing something the men couldn’t. The feminine value of cooperation saved the day. Masculine values, of course, have their place. But, as we have said, it makes for a lopsided world when only one set of values prevails, and so the more women who share in leadership positions in society, the more balanced a world we will have. The Renaissance women we have celebrated in this book, illustrate the amazing range of abilities that women have and that they will continue to develop. But we still have a world where most Renaissance women (let alone women in general) do not have full access to their potential. In certain countries, women continue to be second-class citizens with very few rights and no access to education. This is a criminal state of affairs. But even in our forward-thinking western countries, we still have ground to cover. As noted by so many of our RenWomen, the key issue of the work / life balance is still largely unresolved and continues to place women in positions of having to make tough, no-win choices. There is a reason why Anne Marie Slaughter’s article in Atlantic Magazine entitled “Why Women Still Can’t Have It All” caused such a stir! Slaughter served as Director of Policy Planning under Hillary Clinton at the State Department from 2009-2011. During this time, her husband and teenage sons remained in their hometown of Princeton. After her stint was up, instead of staying in Washington and pursuing other high-level government jobs, she chose to return to Princeton. Why? Because one of her sons was in crisis and although her husband had taken on the main responsibility of caring for the boys, she felt, at that moment, he needed her as well. She realized with a shock that although she had always been a feminist who believed women could have it all, it was only in her previous jobs as law professor and academic dean that she’d been able to manage it. Academia allowed her more flexibility in how she set up her schedule. But in the demanding work-around-the-clock position she held in Washington, “having it all” became an impossible concept. As she says, “The minute I found myself in a job that is typical for the vast majority of working women (and men), working long hours on someone else’s schedule, I could no longer be both the parent and the professional I wanted to be—at least not with a child experiencing a rocky adolescence.” She notes that the onus has been put on women to make it to the top by being more ambitious, more driven and certainly more sleep-deprived. In other words, it is up to the women to try to find ways to squeeze it all in. But the issue is not a women’s issue, it is a societal one. One in which caretaking is denigrated or removed from the equation. And because of this, as she later told Business Insider, “There’s a tremendous loss of talent to businesses who cannot make room for their employees to attend to family responsibilities.” And she included men in this. There is little doubt that parenthood can be a deeply valuable and fulfilling experience, as can an intellectually stimulating, exciting career. The question is, why does one so often have to be sacrificed for the other—either partially or completely? Despite many advances for women in the workplace, they are still frequently pulled between the two. There are those, of course, who find ways to have both, but it is never easy. It is particularly difficult for women who have highly intensive jobs, those jobs, like the government one Anne Marie Slaughter had, that essentially do not allow for, or barely acknowledge their employee might have family responsibilities. These are the careers with long work hours, tight deadlines, heavy responsibilities and sometimes lots of travel. Considering that the period of time, one’s late twenties to late thirties, when one is expected to put in the most time and dedication seeking growth and promotion in these jobs, is also the prime time for marriage and childbearing, the inherent dilemma is clear. For decades, men have been able to fully commit to long and brutal schedules as they build a career. Why? Because they had wives. Of course, they might barely see their children, and that is a sad price many fathers (and many kids) have had to pay. Still, where are the “wives” for the women? When terms like “opting out” are used for women who leave these high-powered positions for the sake of children, this falsely implies far more choice in the matter than women actually have. So it is even more a testament to the persistence and fortitude of the RenWomen in this book that, despite this ongoing struggle, they have accomplished as much as they have! But one has to wonder, how many women are not able to take complete advantage of their gifts because of this dilemma? And why are policies like parental leave, flex hours, and workplace childcare still so lacking in America? To unlock the full potential of women, these issues need resolution. As Anne-Marie Slaughter says, “The best hope for improving the lot of all women . . . is to close the leadership gap: to elect a woman president and 50 women senators; to ensure that women are equally represented in the ranks of corporate executives and judicial leaders. Only when women wield power in sufficient numbers will we create a society that genuinely works for all women. That will be a society that works for everyone.” As we know, we did not elect a woman president this election cycle, but I would argue that the need for a female leader of the free world, along with, as Slaughter argues, leadership equity in all other areas of politics and business, is increasingly vital for us to be able to move forward as a balanced and humane society. Dale Griffiths Stamos is an award-winning playwright, screenwriter, poet, nonfiction author and writing teacher and consultant. As a playwright, Dale Griffiths Stamos’s full-length and short plays have been produced in the United States and abroad. Her short films have appeared at multiple film festivals, garnering two Audience Awards and one Jury Award. Her poetry has been published in numerous literary journals and magazines. Her nonfiction book, RenWomen: What Modern Renaissance Women Have to Teach Us About Living Rich, Fulfilling Lives, co-authored with her twin brother, W. Scott Griffiths, was published in June 2016. Dale has received a number of writing recognitions including The Heideman Award, Top Ten Winner of the Writer’s Digest Stage Play Competition (twice), the Jewel Box Theatre First Prize, an Emmy nomination for shared story credit, and has been a finalist and semifinalist in two prestigious screenwriting competitions. 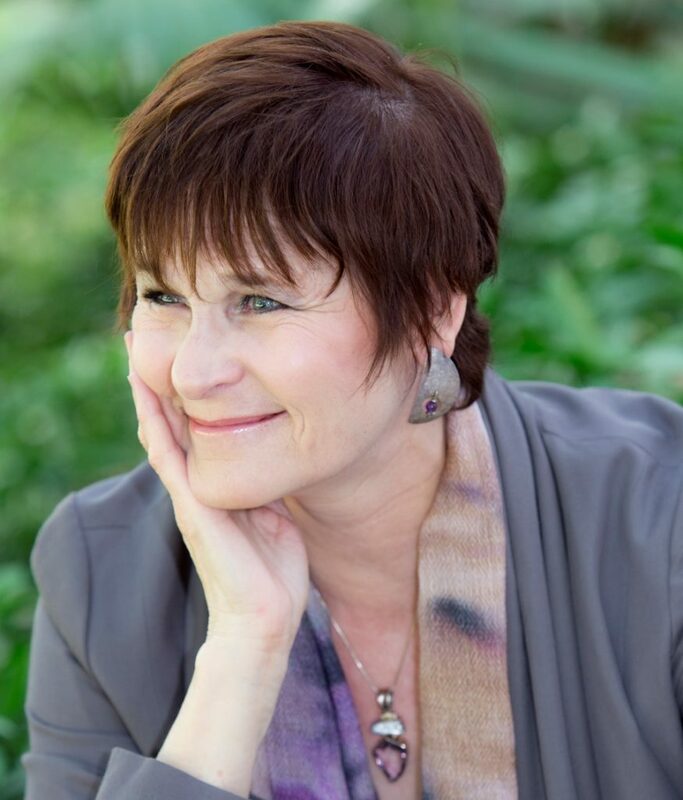 Dale leads a workshop in « Story Structure for All Genres » at the Santa Barbara Writers Conference, is a private manuscript consultant, and does writing presentations for various writers’ organizations.